So here’s another ghost from my past laid to rest. It does seem like the most satisfying part of my movie-watching career over the last couple of decades has been tracking down movies I had heard of in my youth, but never gotten to see, usually because of my youth: questionable fare like Can Heironymous Merkin Ever Forget Mercy Humppe and Find True Happiness?, more solid, significant offerings like Bonnie & Clyde. 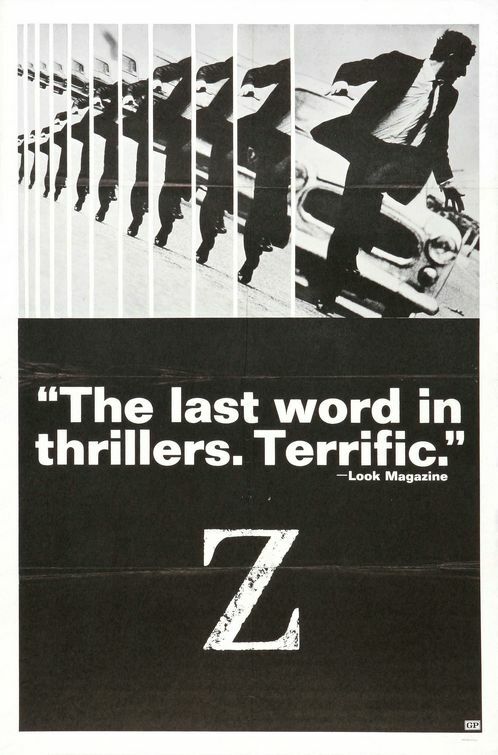 Which brings us to Z.
I remember Z was a talked-about movie back in 1969; it was the #10 top-grossing movie in America that year , was nominated for Oscars for Best Picture and Best Foreign Language Film (it won the latter, Midnight Cowboy took the former). There was a fair amount of coverage in the media, yet I don’t think it ever played the local theater, the Rialto in Alice, Texas. I could be wrong about that. In any case, at 12 years of age, it didn’t necessarily sound like something I’d be interested in. What does interest me is how this movie has faded into the background over the years. That may be part and parcel of the political thriller – you don’t see too many people rhapsodizing over All The President’s Men, for instance, equally successful in its heyday. But it seems to play very rarely anymore. 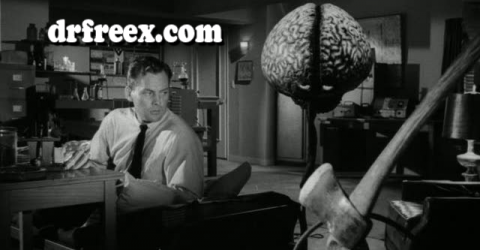 In fact, it was a recent showing on Turner Classic Movies – and if I were better off financially, I would pay for cable just for that one channel – that re-ignited my interest in Z. One of the folks I follow on Twitter was urging everyone to see it, stating, “It’s Godfather good!” That’s pretty high praise; I clicked over to the Criterion site and put it on my wishlist. Enter Barnes & Noble and their half-price Criterion sale. Before long, it was in my possession. So… is it as good as The Godfather? Well, I’m not sure about that, but it is damn good. 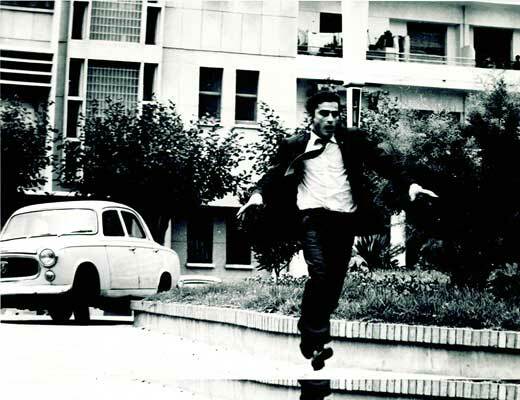 Based on the novel of the same name by Vassilis Vassilikos, Z is a very thinly disguised re-telling of the 1963 assassination of Greek democratic politician Gregoris Lambrakis. 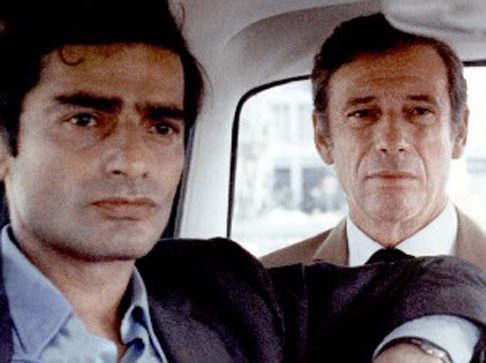 Identified only as “The Doctor” in the movie and played by Yves Montand (the movie is in French and was filmed in Algiers), the Doctor is supposed to address an anti-war rally. The rally is denied meeting hall after meeting hall, all due to threats and sudden rule changes by the right-wing government. Finally, they are allowed a small union hall insufficient for the purpose; a large crowd spills into the square outside, where a rightist mob also gathers. After his speech, when the Doctor approaches the government’s Head of Security to ask that the crowd be dispersed before there is trouble, a three-wheeler delivery vehicle bursts throught he crowd and a man in the back clubs the doctor as it hurtles past. The doctor dies during a third round of surgery. That the Doctor is set up is all to clear to the viewer; one of the Deputies of the party is mistaken for the Doctor earlier, beaten, loaded into an ambulance. The same delivery vehicle later cuts off the ambulance, and the Deputy hauled out and further beaten until the mistake is discovered, his unconscious body left in the road. Officially, the Doctor was clipped by a drunk driver and hit his head on the curb, resulting in the fatal injury; however, a doctor’s autopsy reveals that could not be the case, and he tells that much to the magistrate in charge of the investigation (Jean-Louis Trintingnant), who turns out to be a man who takes the responsibility of his office quite seriously. So seriously that he, and a journalist who realizes he has happened onto the story of a lifetime (played by Jacques Perrin, who co-produced) begin a detailed investigation into the incident, despite being told at every juncture to stop. 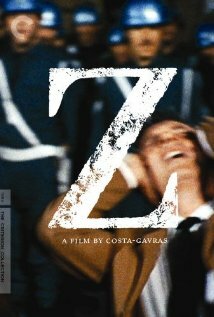 The truly surprising thing about Z is that the story is so absorbing, yet, when one looks back on it, one realizes that almost the entire movie is composed of conversations in offices, hospital rooms, and other places of meeting. This serves to elevate the few action scenes even more in the mind’s eye – scenes which already pretty exciting because the low budget precluded stunt men, so when people are thrown out of the careening three-wheeler, when another deputy is pursued by a car down sidewalks and across a park, those are the actual actors doing their own stunts. This adds to the documentary feel of the proceedings. But, documentary it is, and the final scene is the Journalist on a news set, detailing the unusual, often “accidental” deaths of witnesses in the case, and the light sentences given to the perpetrators. Charges against the military officials are dismissed, with only administrative reprimands. The Deputies have unfortunate, fatal strokes or commit suicide while in prison. 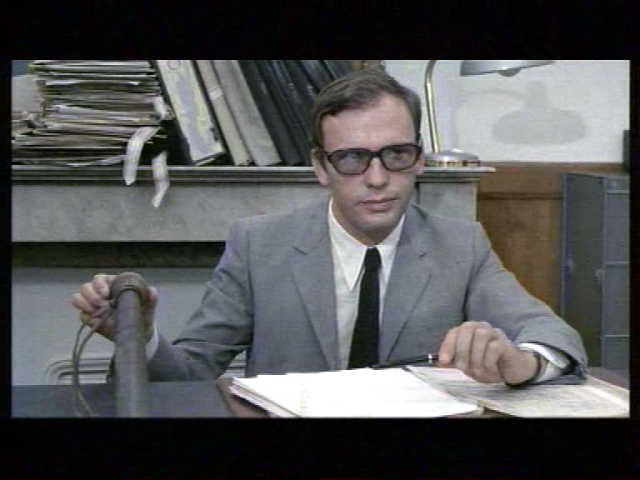 The journalist suddenly freezes, and a female voice informs us that he was imprisoned for revealing official documents. 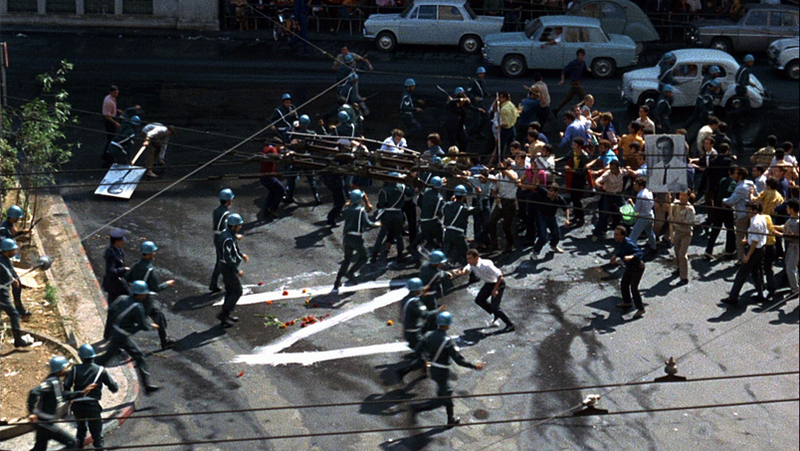 In 1967, you see, the military staged a coup d’tat in Greece, rehabilitated the military types, and turned people like the Magistrate and the journalist into villains. Z ends with a list of thing outlawed by the new junta, including pop music, Tolstoy, long hair on men, peace rallies, The Beatles, Mark Twain, Aeschylus, homosexuality, new math, one remarkable entry ” Lurcat??! ?”, referring to Jean Lurcat, who was responsible for a revival in woven tapestry in the 20th century (ooh, how radical), and the letter Z. Z, you see, refers to the old Greek word zei, meaning “he lives”. Thus Z becomes a popular graffiti, inferring that the spirit of the Doctor, and therefore revolution, lives on. I’m sure banning a letter of the alphabet squashed that sort of thing entirely… which is why the junta was overthrown in 1974. And that’s your takeaway, right there. In the real world, the man the Magistrate was based on, Christos Sartzetakis, became President of a Democratic Greece in 1985. Outside the purview of the movie, but valuable to consider. The cycles of history are exactly that: cycles, and though it seems for a while that repression has a chokehold on reality, the pendulum inevitably swings the other way. It didn’t take me as long to see it as it took you, but when I finally saw it last year-after, truthfully, being aware of it for maybe as many as 20 years, and nearly watching it one night before other things turned up-I loved it for the reasons you outline here. What a great movie.